Does BANANANINA Has A Retail Store? Yes, we have. Our store is located at Menteng Central, Ground Floor #D-03 Jl. H. O. S. Cokroaminoto No. 78, DKI Jakarta. How do I shop at BANANANINA? Menteng Central, Ground Floor #D-03 Jl. H. O. S. Cokroaminoto No. 78, DKI Jakarta. Our customer service will assist you to place your order everyday during office hours, from 8 am to 7 pm. After decided what item you like to buy, click "ADD TO CART"
You can continue to shop if you like to add other items to your cart, by simply click "CONTINUE SHOPPING". If you are done, then click "PROCEED TO CHECKOUT"
You can place your order as a guest or a registered member, or even place your order with your Facebook and Google Account. Click "CHECK OUT AS GUEST" if you choose to order as a guest. You have to fill in the billing form provided every time you want to order. Click "REGISTER" if you choose to order as a registered member, and you only need to fill in the form on the first purchase. Click Sign in with "FACEBOOK" or "GOOGLE" if you choose to order using your Facebook or Google Account. Fill your data to the registration form, including your address which will be recorded as your delivery address. 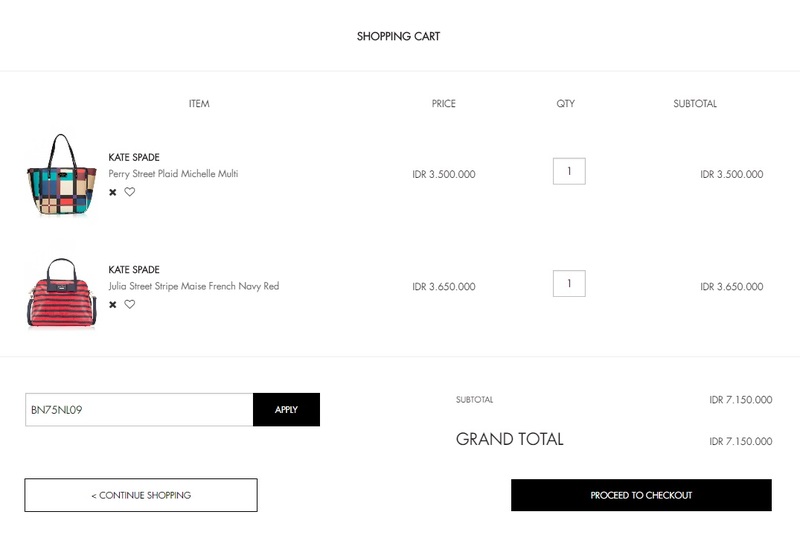 Check "Store Pickup" button if you wish to pickup your purchase by yourself at Banananina Store. Choose your shipping method, then click "CONTINUE". However, if you choose "Store Pickup" method, you will automatically directed to the next step. We have several payment methods including Bank Transfer, Credit Card, and Installment. Choose your preferred payment method and click "CONTINUE". Review your order, then click "Place Order". Now you are finish! 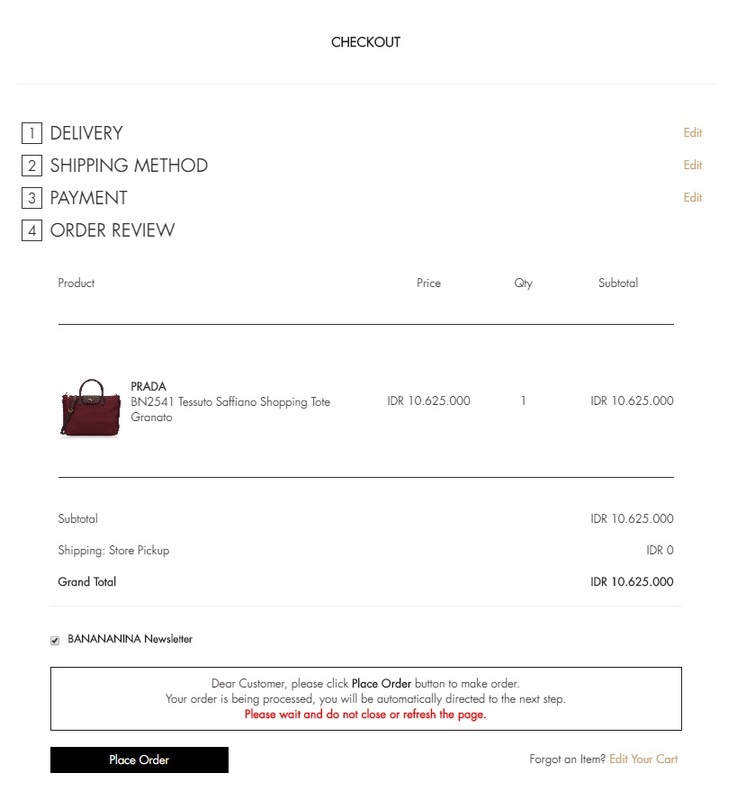 Your order details will be sent automatically to your email. How to shop with Credit Card? How to Shop with Installment? You can create your own account by clicking the My Account button "" on the right side of BANANANINA website. 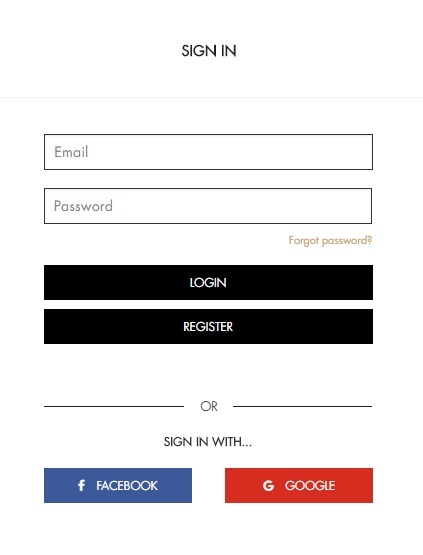 Click "Register" and then fill in the form or click "Register with your FACEBOOK or GOOGLE account" for an instant registration. 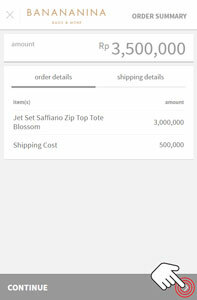 Do I have to create an account to place my order on BANANANINA's official website? No, you don't have to. You can place your order as a guest or a registered member. If you choose to order as a guest, you have to fill in the billing form provided every time you want to order. If you choose to order as a registered member, you only need to fill in the form on the first purchase. 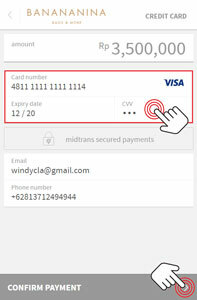 After that, your billing information will be stored in our system so you don't have to fill in the form repeatedly. Thus, it makes your purchase done more effectively. Besides, you will also get special offers from us. Promo codes can be entered while in your shopping cart or during the checkout process online. If the promo code entered is valid, your order total will immediately reflect the discount. If you entered a valid promo code, but a discount was not applied, be sure to review the voucher terms & conditions to ensure the code is valid for the specific item(s) in your order. Click “ADD TO CART”. Locate the Voucher Code field on the left bottom of the SHOPPING CART. Then enter the valid promo code in the field. Click "APPLY" and your order total will immediately reflect the discount. How To Change My Personal Information And Password? You can change all your personal information and password in "My Account ". What Should I Include, If I Would Like to Buy Via Email or Text? Email and text should include your name, phone number, email address, shipping address, the ordered item(s) along with its quantity, and your preferred payment method. We will send you the feedback as soon as possible in operating hours. Orders received after that time period will be responded the next day. You have to complete a payment no later than 24 hours. 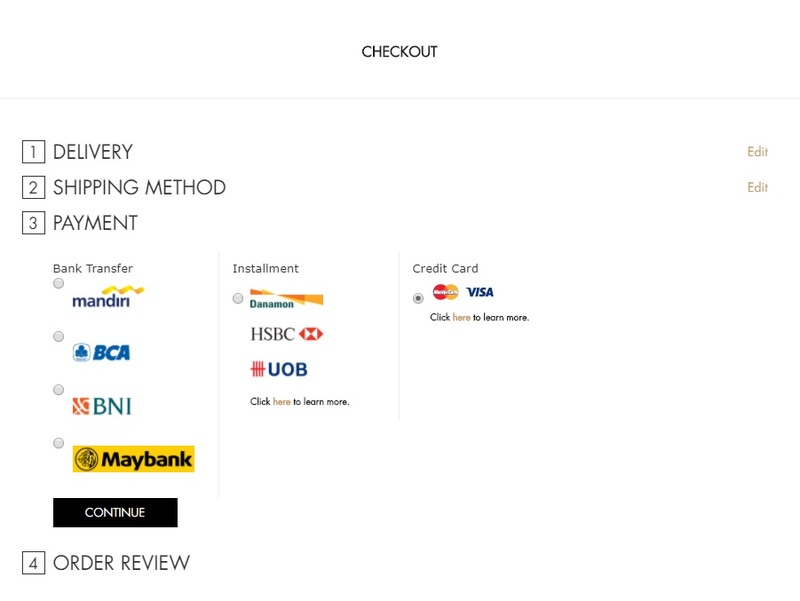 Does BANANANINA Accept Cash On Delivery (COD)? No, we don't. 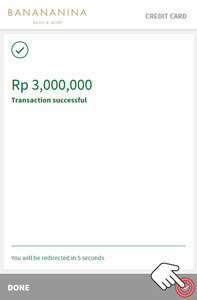 We only accept payment via transfer to one of our 4 bank accounts, Mandiri, BCA, BNI, and Maybank. And also credit card from all bank accounts. We will process your order immediately after the payment confirmation is received. For payment received on weekends or holiday, we will begin the process on Monday or the first business day after the holiday. You can cancel your order via text or email only if the payment is not completed yet. The email/message should include your order ID. If you’re already completed the payment, the cancellation is not applicable. What Should I Do If The Item(s) I Receive Is Incorrect Or Damaged? We always make sure that the item(s) we send to your destination is in a very good condition which is why refund service for damaged item(s) is not provided. However, we still provide exchange service for incorrect shoe size only. This service is only applicable for 3 days after the item(s) is received in your destination. 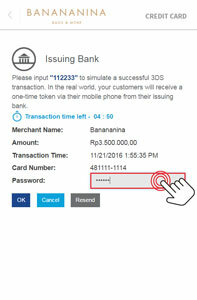 For further information, please check "Exchange Policy". Is There Any Product's Warranty? Yes, product warranty is available for certain watches only. Preloved by Banananina is a curated luxury preloved items from Indonesian Celebrities and Socialites. Preloved items which mostly known as previously owned or secondhand product becoming alternative fashion source for women specially in luxury Brands. Preloved by Banananina is exclusively presented to you directly from Indonesia Celebrities and Socialites' closet providing European Luxury Brands such Gucci, Louis Vuitton, Balenciaga, Chanel, Christian Louboutin, Manolo Blahnik and Valentino.